THE CAT AND THE CANARY (1927). . Following the success of his Expressionist film WAXWORKS in 1924, director Paul Leni was invited to Hollywood to direct at Universal Studios by Carl Laemmle. His first film there was THE CAT AND THE CANARY, based on John Willard’s play, which was released in the same year of Fritz Lang’s masterpiece METROPOLIS that would bring Expressionism to a close. Leni’s Hollywood calling-card is an entertaining chiller reminiscent of Agatha Christie and played more for light-hearted spooky fun instead of serious horror. A group of greedy relatives gather at the mansion of the deceased millionaire Cyrus West for the reading of his will. There is no love lost between him and them – “My relatives have watched my wealth as if they were cats – and I a canary.” Consequently he bequeathes his entire estate to the most distant and least vulture-like Annabelle West (Laura La Plante) – including the priceless West diamonds. There is however a vital codicil imposed which is that a doctor must verify the benefactor to be proven of sound mental health of the estate is passed to the named person in the solicitor Mr Crosby’s envelope. West supposedly added this as revenge upon his relatives for cruelly doubting his sanity while he was alive. We suspect skulduggery from the prologue due to strikingly modern use of point-of-view camerawork that shows a corrupt unknown person adding an amended will to the safe. This is coupled with an effective double-exposure technique depicting West cowering before the giant predatory moggies representing his presuming heirs. Another nice touch is the same layering of images when we see the grandfather clock’s inner chimes working for the first time since West’s death overlaid upon the tense family gathering at the table to hear the will reading. 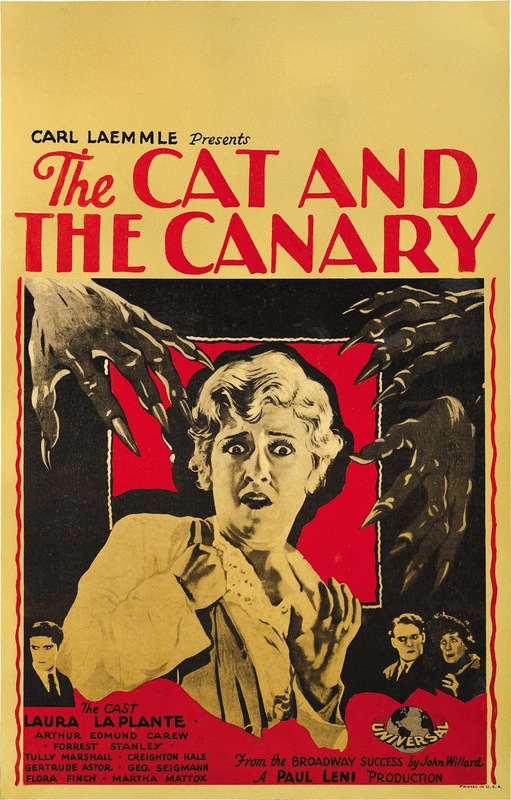 Stylistically, THE CAT AND THE CANARY benefits greatly from Leni’s background in painting and set design, mixing the multi-turreted castle and atmospheric sets of Expressionism with a mainstream Hollywood sensibility. Amongst the acquisitive family are Paul Jones , (a lily-livered but decent comic relief in Harold Lloyd glasses played by Creighton Hale, a veteran of D.W Griffiths films) , West’s nephews Harry Blythe (Arthur Edmund Carewe), Charles Wilder, his sister Susan Sillsby, (Flora Finch) and her niece Cecily Young (Gertrude Astor). There is also Manny Pleasant, the family housekeeper who blames the new will on the ghostly hand of Cyrus from beyond the grave. 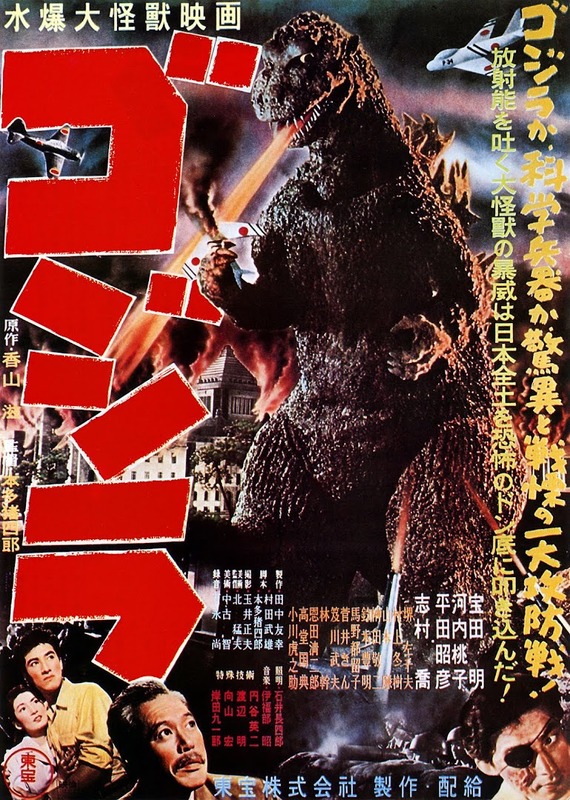 The family opt to stay the night, a good night’s sleep scuppered when a guard appears, warning them that an escaped lunatic is on the prowl, last seen around the premises: "He's a maniac who thinks he's a cat, and tears his victims like they were canaries!" The scene is set for the unknown identity of the envelope name (who is aware of his position Annabelle is told by Crosby before he is bumped off) to try to scare Annabelle into an unhinged state that will pass the inheritance to them. Annabelle is told in a secret note of the diamonds’ hiding place, but on wearing them in necklace form in bed they are stolen by a grotesque, claw-like hand casting a Nosferatu-like shadow over her before stealing them. None of the other relatives believe her. Nor can they accept it when Paul is grabbed by the same evil hand and pulled back through a secret bookcase passage as Annabelle looks on in horror. As the cast gradually flee in terror or to seek help, Paul re-emerges to fight off the hideously ugly attacker of Annabelle whose claw hand we’ve already witnessed. He is a terrible sight, sabre-teeth projecting up from his bottom jaw and with an oversized left eye into the bargain. The climactic grapple reveals him to be Charlie Wilder in disguise, the hidden benefactor of Crosby’s envelope that had disappeared before anyone could label him as chief suspect. He was in league all along with the guard to frighten Annabelle into constructive insanity. Annabelle is the safe rightful heir after all and with Paul as her new love will take up the inheritance of the mansion. Leni’s film became a highly-influential upon future horror plots, being remade a number of times as the classic haunted-house staple plot including with Bob Hope in 1939. Leni would go on to direct one more classic THE MAN WHO LAUGHS with Expressionist star Conrad Veidt before his tragically young death from sepsis in 1929 at the youthful age of 44.